According to the World Health Organization, 1 in 3 adults over the age of 65 have a mild hearing loss. Many people with mild hearing loss feel like they can “just get by” without hearing aids and wait many years until their hearing loss progresses before they seek help. This is a big mistake. The mild hearing loss terminology is misleading because a person with a mild hearing loss still has a clinically significant hearing loss. A person with a mild hearing loss usually reports that they “can hear but can’t understand”. This is because they are unable to hear some of the soft phonemes of speech, such as the “f”, “s”, “th”, and “p” sounds. This causes difficulty being able distinguish between words, such as “fit” and “sit” or “death” and “deaf”, for example. Mistaking words will be especially more difficult in noisy places or rooms with poor acoustics, and listening through a mild hearing loss can require a lot more effort. Therefore, listening fatigue is a common side effect of a mild hearing loss. Not only that, but untreated hearing loss, even a mild hearing loss, can have negative consequences such as avoidance or withdrawal from social situations, reduced job performance and income level, impaired memory, increased risk of falling, stress, anxiety, and depression. Hearing loss is serious. If you think that you may need a hearing test, use our free online tool to get matched with a hearing specialist in your area. We are going to break down which hearing aids are the best for mild hearing loss, why we believe they are the best, and some other things you should take into consideration if you have a mild hearing loss. 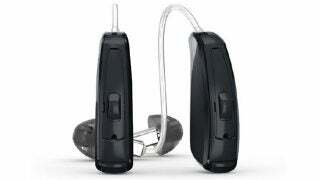 Our top pick for the best hearing aid for mild hearing loss is the Oticon Opn. The sound quality of the Opn is very natural and clear due to the fast processing speed of Oticon’s Velox chip and Oticon’s BrainHearing technology. The Opn gives the listener access to speech sounds all around them so they can interact with their environment seamlessly and without disturbing noise. It comes in RIC, power BTE, and custom styles. The miniRITE style is available with a 312 disposable battery or rechargeable battery option. It is a Made for iPhone hearing aid which means it connects directly to iPhone, iPad, iPod devices without the need for an additional accessory. Every Opn features a dual wireless system which means you don’t sacrifice speed of ear to ear processing to get bluetooth connectivity. This is extremely important for better speech understanding in noise. It is the only internet-connected hearing aid available through the IFTTT network. There are several style and battery options available, from a 312 RIC to a lithium-ion rechargeable battery RIC option, as well as disposable and rechargeable battery options which includes a telecoil coming soon. The Audeo Marvel gives you direct wireless streaming to both ears no matter what bluetooth cell phone you own, as well as streaming from other bluetooth devices like TVs and computers. The Audeo Marvel is on Phonak’s newest AutoSense OS 3.0 platform for better sound processing in noise and while streaming. 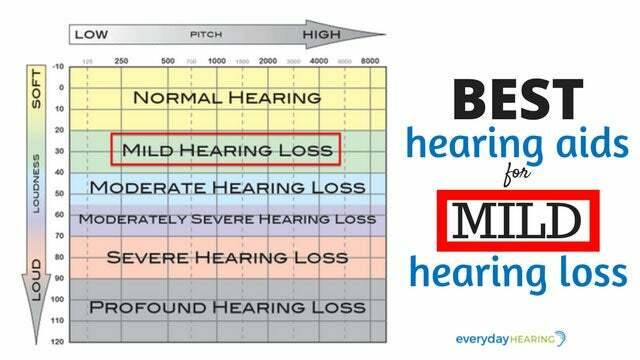 What is a mild hearing loss? What makes a good hearing aid for mild hearing loss? A mild hearing loss describes the severity of hearing loss in which a person has difficult hearing soft sounds. A mild hearing loss is defined by having thresholds in the 21 to 40 dB range (depending on who you reference as some define it from 26 to 39 dB). People with mild hearing loss are good candidates for hearing aids, although a lot don’t pursue help with their hearing loss. The perception of hearing impairment is very different from person to person with mild hearing loss. People who are very socially active who have a mild hearing loss typically report a greater handicap, whereas other people who are very inactive and have a mild hearing loss report little or no hearing handicap. The unique needs of the person with mild hearing loss must be addressed with the hearing aids. This is going to depend heavily on the person with hearing loss depending on what situations they struggle with the most. The #1 thing a hearing aid well suited for a mild hearing loss must do is provide crisp and clear speech understanding in background noise, while maintaining a natural sound quality. Acceptance of the hearing aids is extremely important for people with mild hearing loss who are wearing hearing aids for the first time. Hearing aids for mild hearing loss must be cosmetically appealing, comfortable, provide clear and natural sound quality, and be easy to use and maintain. 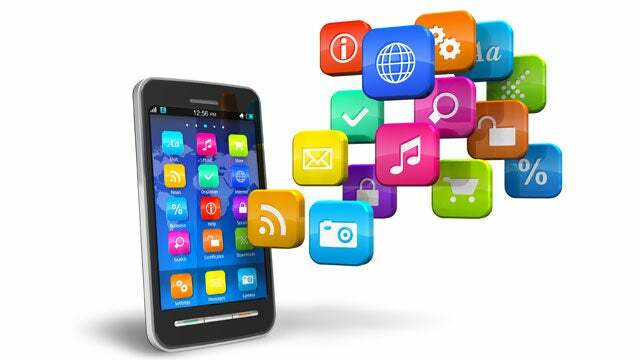 A good hearing aid for mild hearing loss should also make hearing fun, with the benefit of smart technology and connectibility to other technology, such as smartphones. What are some of the unique challenges with fitting a mild hearing loss? Th biggest challenge with fitting a mild hearing loss is overcoming the lack of perceived benefit of the wearer. Because the person with mild hearing loss may not perceive tremendous difficulty hearing without their hearing aids, they also may not perceive the tremendous benefits they get from wearing them. 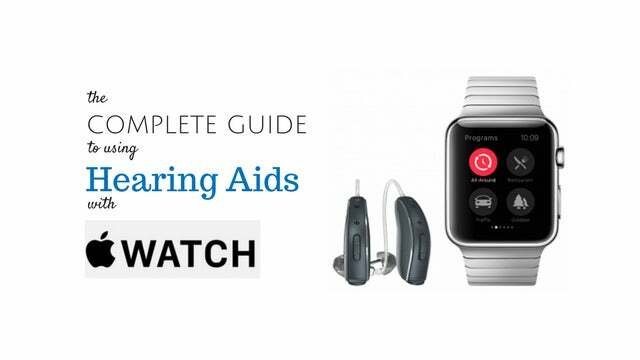 In order to avoid unacceptable of the hearing aids, or lack of consistency with wearing them, this is something that should be explained by the hearing healthcare professional. There is not as big of a “wow” factor for someone with a mild hearing loss who puts on hearing aids for the first time because in the quiet doctors office they probably heard fine without them. It is the challenging listening environments where the benefits of hearing aids will be perceived, as well as the underlying benefits such as less listening fatigue, less social withdrawal or frustration, and more health benefits from wearing the hearing aids. 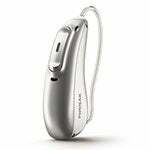 Product Description: Available in three performance levels, the Oticon Opn gives wearers an open sound experience that is more natural, with less disturbing noise, and more smart connectivity. 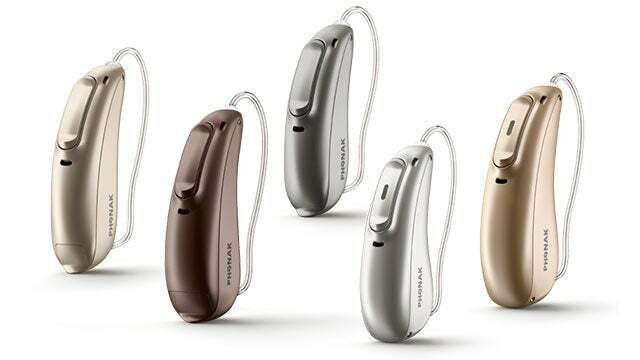 Product Description: The Audeo M line of hearing aids, available in 4 performance levels, provide rich, clear sound quality in live conversations and while streaming calls and audio from multiple sources. Wireless compatibility "Smart" technology - Yes, wirelessly connects to all bluetooth cell phones without an additional accessory, as well as other non-bluetooth devices using the TV Connector accessory. 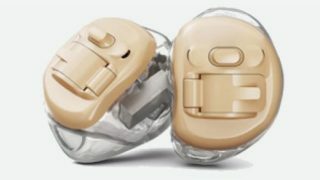 Product Description: The Starkey Livio AI redefines what a hearing aid is by featuring integrated sensors and artificial intelligence to track body and brain health. 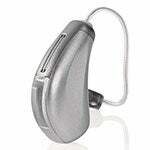 Product Description: A smart hearing aid with Surround Sound technology. Unsure of which hearing aids you should go for? We have created an online tool to help match you with a hearing specialist in your area. It’s free and quick to use. Many people with mild hearing loss will first notice difficult in one type of situation, such as having difficulty understanding the TV. If you’re not quite ready for hearing aids in your everyday life but want to improve your hearing for certain situations, check out our other hearing device options for people with mild hearing loss. A mild hearing loss is most noticeable and troublesome in more challenging listening environments such as on the phone, in difficult environments such as lecture halls, or in noisy environments. It is important that you get a hearing aid that will allow you to seamlessly interact with your world in these situations. While clear sound quality is important for hearing aids for mild hearing loss, connectivity is a key feature. If you’re able to improve your speech understanding on the phone and TV using the wireless connectivity options the hearing aids provide, you are more likely to perceive the additional benefit the hearing aids provide for you. 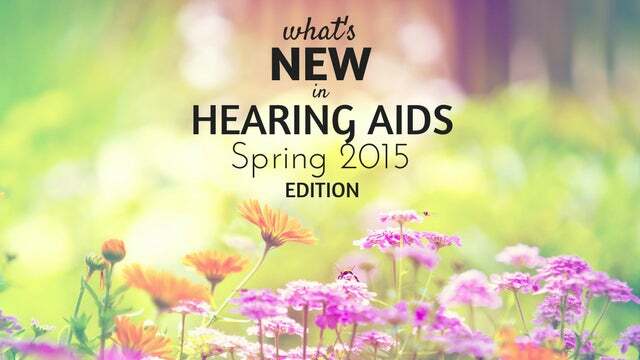 If you have a hearing aid that you love, leave a comment below and let us know! Can a Smartphone App Replace Your Hearing Aid? You make a good point in explaining the benefits of wearing hearing aids for a mild hearing loss because it provides crisp and clear speech understanding in background noise while maintaining a natural sound quality. My dad has a difficulty hearing soft sounds which has affected his interaction with other people. Thanks for mentioning that hearing aids are also cosmetically appealing, comfortable, provide clear and natural sound quality, and be easy to use and maintain. We appreciate the advice! I have mild hearing loss in one ear…. @4000hz -30db.. I use at times 2 made in China for $15 a1ds and they help somewhat while watching TV. My wife uses 2 $1500 aids that work for her a little better than mine do for me, but still are seldom needed for her TV use. I personally believe that All AIDS are only amplifiers. Am I not correct?